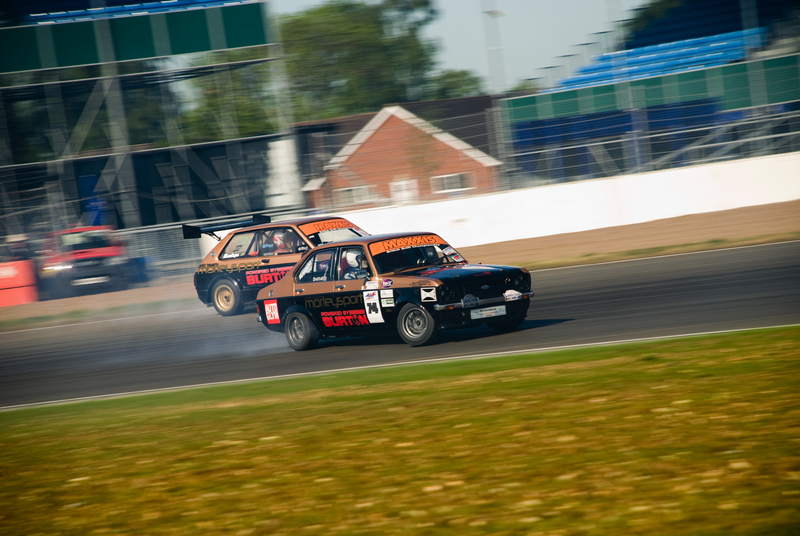 The fourth annual Retro Show is just around the corner and with only two weeks to go everything is now a place with the confirmation of Drift Team Morleysport, the only all retro car team competing in the 2010 British Drift Championship. 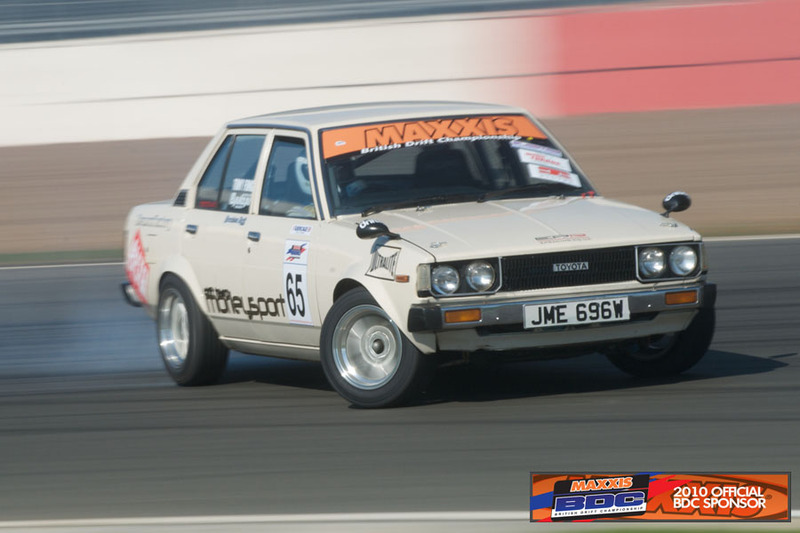 They will be displaying their sideways skills in a series of demonstrations at the event using top retro classics like Mk2 Escorts and Toyota Starlets. The displays will be expertly driven by Ben Morley, Declan Munnelly, Steve “Stiggy” Evans, Tong Fong, Mark Carter and Malcolm Foskett. They’ll be solo tyre smoking sideways action as well as twin-drifting where two cars race around the twisty course trying to get a close as possible whist producing as much smoke as possible. This, together with much more, will make the Retro Show one event not to be missed. So what are you waiting for? Buy your tickets before Friday 9 July at the advance price of £20 for the weekend or just £12 for the Sunday. 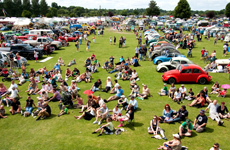 Further event and ticket information can be found at www.retroshow.co.uk or by calling 01234 782828. New for this year is the Bug Jam Comedy Challenge, where budding comedians can take a priceless lesson with top comedian Sully, and even have a crack at performing in front of a live crowd. Unbelieveably, this is completely free and guaranteed to be a great laugh, that’s worthy of the entry fee alone if you think you’re a bit of a funnyman/woman. Take a look on the website for some more info, and don’t forget, the popular comedy shows on Friday and Saturday are here to stay too. Please check the GUIDE for details. Also, new for Bug Jam is the addition of an off-road course for Baja, Buggy and military vehicle fans. Free to use for anyone with a suitable vehicle, it will also be great fun to watch! 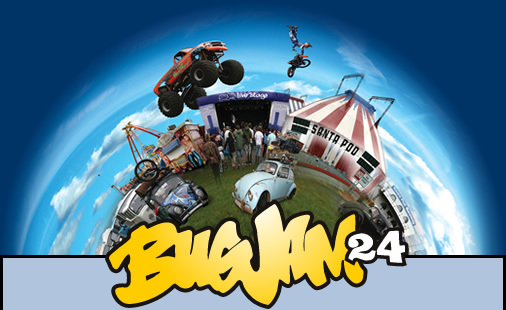 Following the success of the 2-day show car competitions at Big Bang, Bug Jam has also adapted to accommodate ever-increasing numbers of competitor cars. 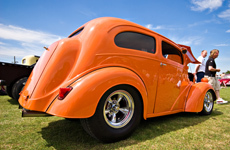 The Rust & Rat show is now on Saturday morning, and the Show & Shine is now on Sunday morning. 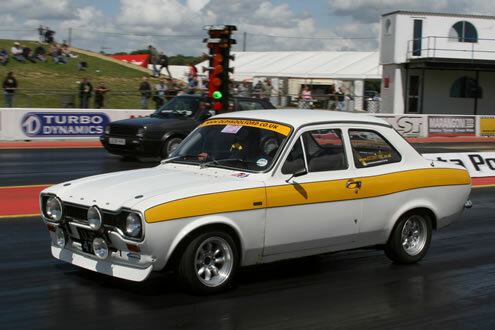 The Retro Show at Santa Pod – a fast blast from the past! 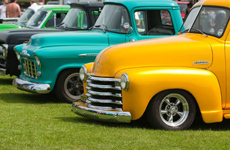 Fans of retro and classic cars and bikes will love The Retro Show at Santa Pod on Sunday the 18th July. This is an event with a difference; rather than just having rows upon rows of lovingly cherished classics, owners and show-goers get the opportunity to see them running and racing in anger! If you’re the kind of enthusiast that despairs at the current crop of ‘Euroboxes’ or simply prefer machines from a gentler age when carbs ruled the roost and a radio was considered a heady option, then you’ll love this show. 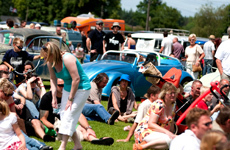 All retro vehicles including cars, motorbikes, scooters and lorries from the 1950’s to the 1980’s are welcome, as well as classics from both sides of the Atlantic. Even the current crop of ‘neo-retro’ incarnations like the new Mini, Beetle and Fiat 500 are also encouraged along. Run What Ya Brung (RWYB) – run your car on the track and get the chance to flex its automotive muscles on a proper racing track (£25 sign on fee payable). 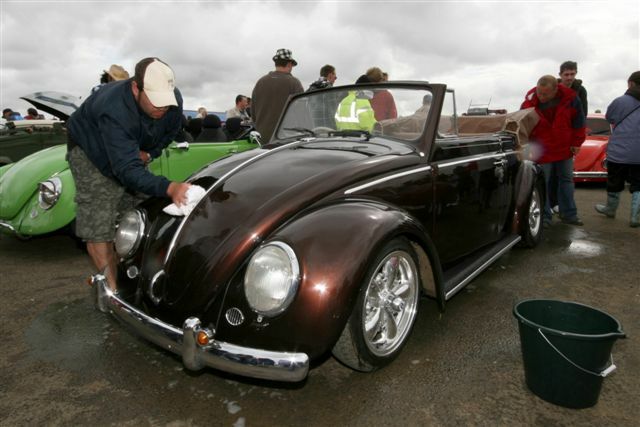 Autoglym Show & Shine Competition – great for the car buffing and polishing fraternity. A chance to display your pride and joy and perhaps even win a prize. 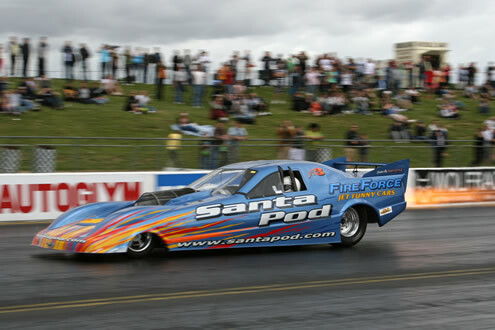 Fireforce – Martin Hill’s amazing jet-powered funny car. This will shock and amaze in equal measure, as it hits 270mph in a shade over 5 seconds! Handling Track – you can drive your own car against the clock around our tight challenging course. It’s free to enter and there’s a prize for the quickest run of the day. 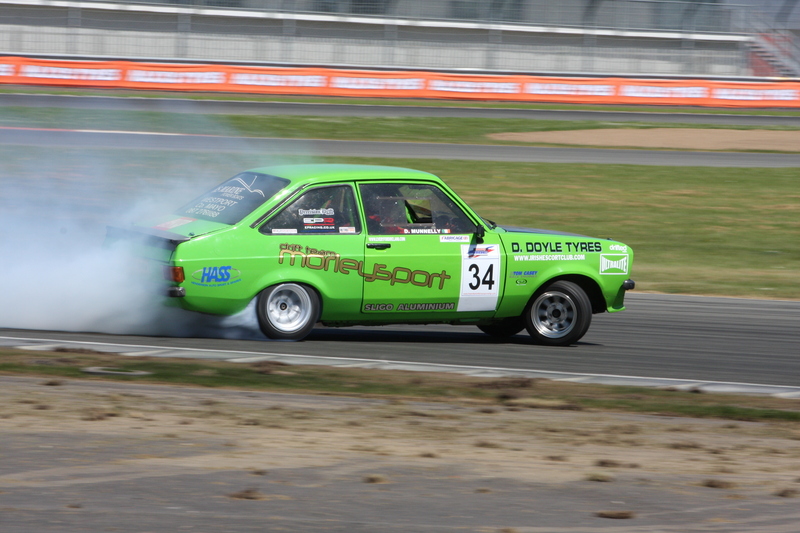 Retro Drift Cars – sideways action from a better era, Mk2 Escorts and other many other marque’s will be demonstrating how it used to be done. Arcade Alley – all time great video games Pacman and Space Invaders will be here for you to re-live your youth on, plus many more. Will you be able to beat that high score you set 25 years ago? Podzilla Monster Truck – 1500bhp of car-crushing monster truck madness! Retro Drag Demonstrations – there are many beautiful retro drag cars out there and a few will be bringing them out of the museum and firing them up for the Retro Show. Keep your eyes peeled as they’re still pretty fast! Historic Karting Display – celebrating over 50 years of the sport that brought us most of our all-time F1 greats, this is one not to miss. 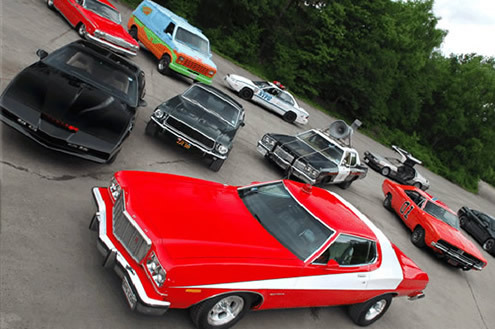 Movie Car Display – your chance to see those TV and film classics; General Lee, Back to the Future Delorean, Scooby Doo Van and many more movie greats. We also have the Autotrader cars for sale area, autojumble, funfair and a selection of traders keep you amused all weekend long. 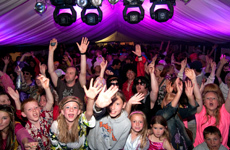 Not to forget the Saturday night evening entertainment, we have live London band Nexus. Playing neo-soul, funk and all time favourites their repertoire is sure to impress. Are you a member of a club? If so then great, we have free in field parking so you and your mates can park together and show off the club. A prize is up for grabs for the “Best Club Display”. Get it in the diary now! Advanced tickets are available (up to 9th July) for only £12 for the Sunday and £20 for full weekend camping and entertainment. For club parking pre-registration is needed. Kids under 13 go free, so why not pile the whole clan into your classic and cruise on down? 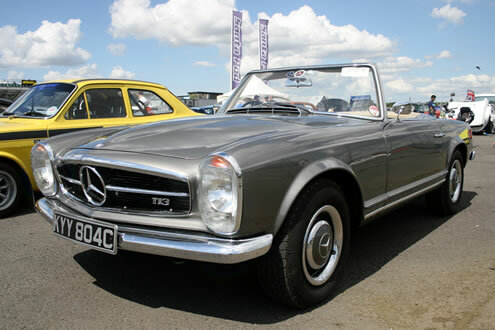 For more information visit www.retroshow.co.uk or call 01234 782828. Similar to the recent ‘Blagged By Brian’ deals with JK, BOC and Boothby Taylor, Volkszone has managed to negotiate some healthy discounts for VZi members with our very good friends at VW Heritage/SSP. Neither VZi nor Brian Burrows receives any money/commission from these ‘blags’ – as has been suggested by some sad cynics – every single penny saved is passed on to you, the VZi member – and Brian donates his time and efforts (and telephone bill) for free. The webpage link to the VW Beetle wings sets is HERE. THIS OFFER ENDS AT MIDNIGHT ON SUNDAY 18th JULY 2010. Once again, we would like to say a huge thanks to Barney, Dave and all the guys at VW Heritage and Street Style & Power and those behind the scenes at Volkszone that made these great ‘blags’ possible. Please visit VW Heritage website for more bargains and watch this space each month for details of further ‘Blagged By Brian’ discounts and deals. 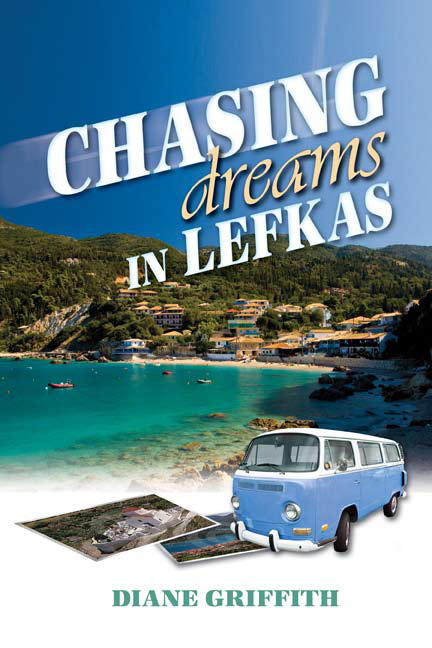 This inspiring and true adventure story is about the author and her husband’s journey to find beauty and meaning on the little known Island of Lefkas. The realistic descriptions of the people and places in the evocatively Greek environment take you right there with them, sharing in this heart-warming venture. The text moves along at a comfortable pace, and the prose is vivid and full of memorable images that contrast the Island’s beauty with their travelling hardships. Follow them on their journey in their 1974 VW Westfalia Camper and find out if they found the secret of true happiness, or were they merely chasing dreams? Diane Griffith was born in Scotland but spent her childhood in North Wales, speaking Welsh and English, being of a Welsh mother and an English father. She inherited her late father’s Liverpudlian humor, which always gave her a positive attitude to life. She lives in Cyprus with her husband and elderly mother. Her son, Jamie, owns a bar in Paphos, where he is a singer/guitarist. Diane has held various occupations, with the last and most rewarding being running a Slimming World Club. Diane wrote many success stories for the local papers, promoting her club. She has also written a romantic novel, It Mattered Yesterday and a book for young children called Granny’s Magic Garden. 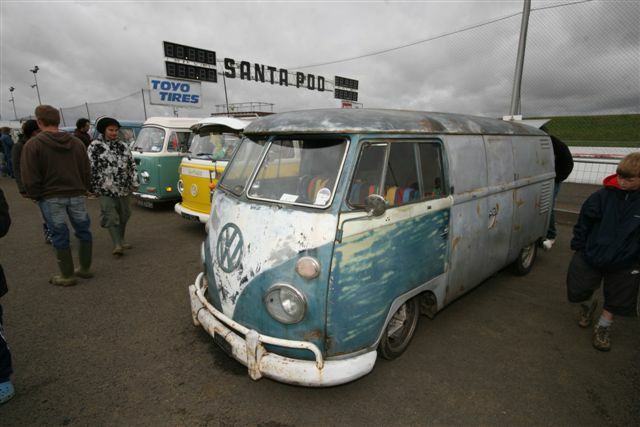 Just a matter of days until we find ourselves back at Shrewsbury Showground for Deva Dubs ‘N’ Rods in 2010!!! 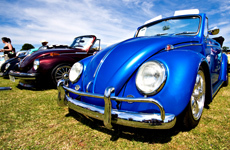 Noted for its relaxed vibe, superb entertainment, varied trade arena and top notch VW and Hot Rod show cars, Deva Dubs is the summer show not to be missed!!! This year we see over 30 trophies up for grabs, 10 on Saturday for the Daily Driver Competition and 20+ for Sunday’s Show & Shine. Lots of traders from all over the UK will be in attendance so please take time to browse the stalls and look out for the Deva merchandise stand where there will also be Limited Edition Deva 2010 T-Shirts, Hoodies and Stickers available! Saturday is the Top 10 Daily Driver Competition specifically for everyday cars, we have a bike race with a difference and the interclub 5-a-side Deva Football Tournament! All are always popular, and all have trophies!!! Saturday evening will have the ENGLAND vs USA World Cup game on the big screen outside the bar and after that the one and only Jensen D Groover supported by UK’s famous dance troop, The Narni Shakers, the theme for this year is BEAUTIES, BEASTS and GEEKS your chance to impress PLUS there are tophies on the night for the best dressed of each!!! Sunday at Deva, enjoy the great cars, check out the club displays, shop till you drop in the trade area and soak up the atmosphere!! Deva is a fantastic weekend and a favourite in many peoples eyes so if you’ve not been before, make the effort you’ll be pleasantly suprised and if you’re a regular to Deva spread the word and bring some friends – they’ll thank you for it! Buying a car can be a confusing business, particularly if it’s your first time doing so. With people trying to sell you things every step of the journey, it’s important to know exactly what you’re doing – something that’s often easier said than done. To help you out, confused.com have put together a step-by-step guide to making that big purchase, crammed full of all the little things you need to remember from budgeting to choosing the right car insurance . It might sound obvious, but budgeting for your car is probably the most important step of the lot. • Are you trading in an old car? If so, a number of dealers and other websites offer free, immediate online valuations which can roughly tell you the amount you should be aiming to receive for your existing motor. This is what you’ll likely get if you get your car finance in the showroom. You put down a deposit and the dealer will let you take the car away that day – followed by a fixed period of repayments to a separate finance company. The problem with this method is that you don’t actually own the product until you make the final payment – meaning you won’t be able to sell on or modify the car until you have cleared your debt and could face hefty charges or even have the vehicle repossessed if you fail to keep up with repayments. Sometimes there may be a fee at the end of the period of instalments to allow you to own the vehicle outright, so check this with your lender. This is similar to Hire Purchase, with the major difference being that you won’t be charged a fee at the end. A decent bet if you aim to change your car fairly regularly. A Personal Contract Purchase (PCP) creates a contract term and monthly repayments – however it differs to a hire purchase in that the final purchase is optional. You can either make one large payment at the end of your contract (usually between two and four years) to own the vehicle outright, or can return it to the provider and find a new car. With the biggest depreciation of vehicles usually coming in the first three years of a car’s life, this might be a good way of banking against the loss in value of your vehicle; but only if you’re happy never to own it. The traditional option and possibly the most cost effective; all depending on what rates are available to you at the time. Before you take the plunge, look at our guide on things to consider before taking out a personal loan. And if you’re ready to pick one out, then let Confused.com help you compare loans. Step 2: What Car to Choose? OK, now the money bit’s out of the way, you’ll want to think about what car best suits you at a price you can afford. Of course, as you were running through what you could afford, you no doubt had some ideas about the key features you’re looking for. • What Car? – This is packed full of information on every single aspect of buying a car. Need to know the tax that would be payable on a new company car? Tips to reduce your fuel consumption? Valuation on a new motor? It’s all here. Then there’s the bit you can’t do online; test-driving the car. It’s really important to do this to get a feel for your prospective motor, but you’d be amazed how many people don’t. Remember, taking a test drive with a certain dealership doesn’t mean you’re tied in to buying through them, so even if you’re planning to buy online, it’s well worth taking it for a spin first. Here’s where it really begins to hot up. Entering the showroom can be a pretty dizzying experience, particularly if it’s your first time buying a car. However, if you follow a few very simple steps, there’s no reason why you shouldn’t come out feeling very pleased with your day’s work. Be forceful, but don’t be too aggressive – this could easily lead to you getting the opposite result you want. Remember what you want, and remember you can leave at any time if you’re not getting it. While there are a whole host of sites offering help in the build up to buying your car, there are relatively few that allow you to actually buy online. However, there are some out there, and you might find that the result is a major saving – recent research from Which? found that 12 out of 14 popular new cars can be found cheapest on the net. Bear in mind, though, that buying a car unseen is something of a risk, and it’s important to be just as thorough in questioning your dealer on the car as you would do in the showroom. • Are there any car weaknesses? • Can I return the car if it has already been shipped? • Are there any costs involved in transportation? • How long will it take for the car to arrive? This is especially worth considering as the cost of returning the car could be far greater than if you are simply buying from your local dealership. So you’ve got the car you want at the price you want – give yourself a nice big pat on the back! However, you’re not done yet. Finding the right car insurance quote is worth almost as much time and consideration as finding the right car itself. 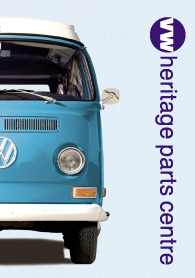 New VW Heritage Catalogues Out Now! 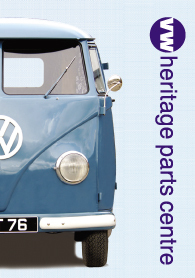 VZi sponsors VW Heritage have a brand new 78 page full colour parts catalogue for 51-67 VW split busses. While the buying team have been scouring the planet to find the best parts possible to complete their range. 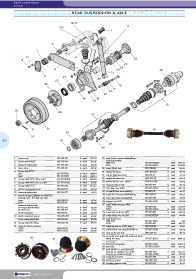 The boys in the VWH design team have been beavering away for months taking photographs and drawing exploded diagrams to make choosing the right part for your split easier than ever. 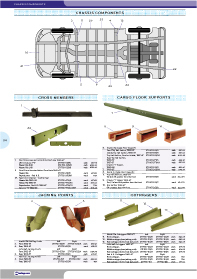 With over 2000 parts for split vans, campers, pickups and microbusses this is probably the most comprehensive pre 67 vw bus catalogue in the UK if not the world! To get your free copy either call or email VW Heritage or go online to order or download it now!! VW Heritage have been busy boys and girls not only have they just finished their new split bus catalogue they have revised and updated their 68-79 VW baywindow bus catalogue, so if you have the old 2008 edition with the red bus on the front get on the phone, send them an email or go online to get your copy of the 2010 edition with a blue bay on the cover, there’s new products, clearer listings and corrections of errors to improve their already excellent catalogue. In a similar deal to the recent ‘Blagged By Brian’ coolboxes and klaxon horns, Volkszone has managed to negotiate some healthy discounts for VZi members with our very good friends at Just Kampers. This month’s ‘blag’ enables VZi users to purchase a GTP Automatic ABC Powder Fire Extinguisher (J15335). It is priced at £56.10 and if Volkszoners use the code they’ll get one for £39.95. The link to the extinguishers is HERE. Once you have chosen to purchase, before ‘checking out’, you will need to enter a code to receive the discount. This code can be found HERE in the thread on Volkszone.com. THIS OFFER ENDS AT MIDNIGHT ON WEDNESDAY 30th JUNE 2010. Please visit Just Kampers website for more bargains and watch this space each month for details of further ‘Blagged By Brian’ discounts and deals.